Harrod,OH- The Wapak Kids Wrestling Team opened up their 29th season today at the Allen East mini-tournament with 68 wrestlers taking the mat. 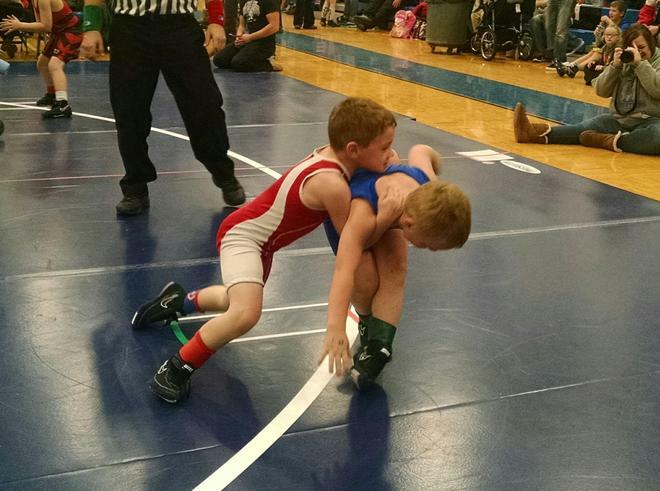 Wapak Kids Wrestling provides youngsters ages 5 thru the 6th grade a safe and fun introduction to the sport of wrestling while building coordination, fitness, and developing self-confidence and self-discipline. Other teams competing were, Shawnee, Elida, Saint Marys, Sidney, Kenton, Allen East, and Bath. Kids Wrestling would like to thank all the parents who volunteered to work today's tournament. Wapak Kids' next tournament is January 15th at Wapakoneta. Over 400 Wrestlers will compete. The team is coached by Brent Miller, Levi Cecil, Casey Patton, and a host of other volunteers. Follow Kids Wrestling Boys Wrestling to get email updates regarding News.